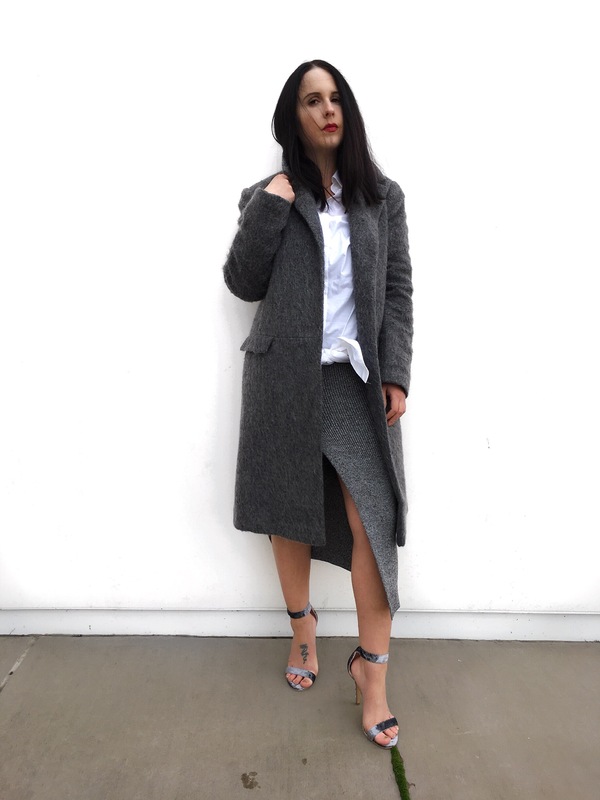 Gray is one of my go to colors and I now have three gray coats in my closet. To be honest, I don’t even have a black one. The texture on this coat is the main reason I’m sold. I love the wool hair details and the heaviness it adds to the look. A recent purchase for me is this oversized white button down. I knotted the front and paired it over a gray midi dress with gray velvet heels. I like the result of the layered look and the slit skirt adds an extra unexpected element. That oversized coat really ties this entire look together and you look so effortless and chic here in these minimal classic pieces.